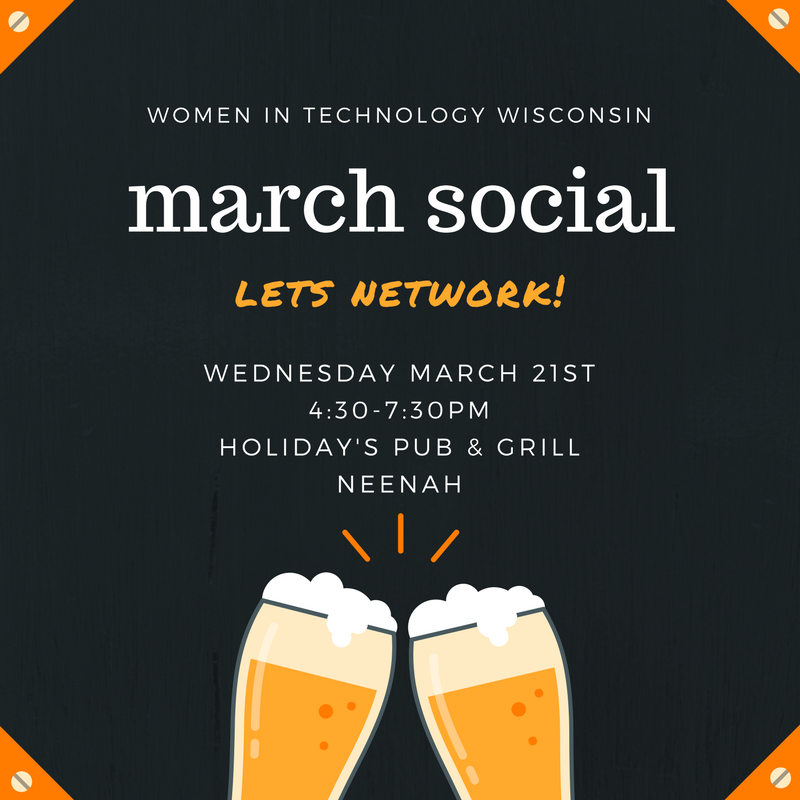 Women in Technology is having a March Social! Appetizers will be provided along with 2 drink tickets. Please register so we can obtain a count for food.